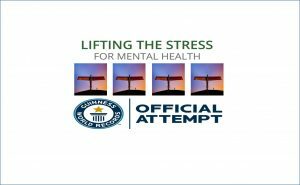 WORLD RECORDS, ARMED FORCES and AWARENESS! Can you give a brief introduction about yourself, profession and the goal you have set out this year? I’m an ex royal marines commando, now working in the private security sector as a project manager. I started this team about a year ago after receiving some help myself and felt the urge to give back by using my talents as a strength sports enthusiast. We have set ourselves the huge goal of setting a new world record for the most amount of weight deadlifted in 12 hours by a team of up to 12 people. The current record stands at around 752,000kg and we plan on hitting a minimum of 800,000kg. We guarantee this minimum target will be hit. 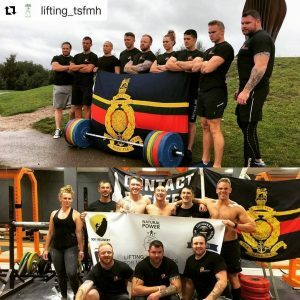 The reason behind this gruelling task is our aspirations to create as much awareness and funds for the forces mental health charity, Rock 2 Recovery. They do some amazing work with serving armed forces personnel and veterans who have left the service, who are suffering from stress related brain injuries. They help hundreds of these amazing men and women each year and rely on fundraisers like us to ensure they can offer their recovery programs to those that really need it. The event will take place on 4th November 2017 at the main arena in the metro centre, Gateshead, Newcastle. How did you go about setting up this mammoth world record challenge? I sat at home one day thinking about this particular charity and the amazing work they do and where i would be if i hadn’t received help from Jamie Sanderson. I thought about doing the typical long distance run to raise money for them but i’m not much of a runner since leaving the marines. I don’t do things by halves and always strive to challenge myself. This is when i thought of doing something many others wouldn’t dare try. Initially it was just going to be me and a few others breaking the team of 12 record, as a show of toughness. As the months went on the team started bringing more ideas in and we agreed to use all the tools given to us and welcomed a full 12 person team to ensure the record would stay broken for years to come, and trust me it will be with this team. The metro centre is Europe’s biggest shopping centre, so the amount of people we will be able to interact with to spread awareness of the mental health issues in our armed forces will be at its peak. Our minimum target of 800,000kg equates to 4 x the weight of the iconic angel of the north statue in Gateshead. We all stood next to it last weekend and we cannot believe how much weight we have to lift now that we can see it in front of us. It really is going to be a spectacle, not to be missed. Can you tell us more about PTSD? Rock 2 Recovery doesnt just focus on PTSD (post traumatic stress disorder) , although it accounts for a large percentage of all stress related brain injuries seen today. Stress related brain injuries can range from simply stress of coping with life back at home, to PTSD where it is a psychiatric disorder that can occur following the experience or witnessing of a life-threatening events such as military combat. Sometimes these injuries, invisible to a normal persons eyes can lead to self harm or suicide and it is something i have personally seen many times over with friends/colleagues past and present. It is a horrible situation to be in and it is amazing to see Rock 2 Recovery helping these men and women. So there are 12 of you to attempt this record, do you all know each other? Colin Kelly, Sunderland, Security Project Manager and ex Royal Marines Commnando. Marcus Spicer, Gloucester, Architectural Technician. Jim Galvin, Eastbourne, Personal Trainer and ex Royal Marines Commnando. Tom Mantova, Liverpool, Director, ex Royal Marines Commando Ryan Myers, Sunderland, Osteopath/Personal Trainer, Royal Marines Reserve PTI. Ash Dougan, Cheltenham, Royal Marines Commando. Charlotte Berry, Oxford, Jeweller. Sam Logan, The Wirral, RMR and ex Royal Marines Commando. Michael Kelly, Sunderland, Strength and Conditioning Coach. Sam Dahlrymple, Plymouth, Royal Marines Commando. Rosie Davey, Chew Valley, Personal Trainer. Benny Benstead, Torguay, Royal Marines Commando PTI. Have you done any team training for this? As we all live quite far apart we have all been left to train by ourselves. Every week we are pushing ourselves to get those repetitions in to ensure we smash this record on event day. We all met bar 3, for our team PR weekend last week and managed to hit 335,000kg in only 2.2hours. This shows us we are doing something correctly and our confidence in breaking this record is being boosted every day that goes by. The motivation this team collectively brings and the atmosphere it produces when we are lifting together is amazing and we cannot wait to do it with a full team this November in front of thousands of people. It will be hard not to donate after watching us i am sure. What is your daily/weekly routine to prepare for this? Personally, due to working away my programming is off and on. When im home i like to utilise the equipment that i cannot use abroad. But when im away i simply stick to the basics and compound lifts. For the event i am doing deadlifts twice a week, alongside everything else. I have a high weight, low rep day and then a event day weight and high rep day. This seems to be working very well for me and i have already managed to do 650 repetitions of 105kg in under 2 hours, which equates to my required total on event day in 12 hours leaving me 10 hours. This is my routine specifically tailored to the event whilst also maintaining my other compound exercises so i would not normally deadlift as much. That is quite a high impact routine, how is your recovery and what do you supplement with to aid performance? I have always been able to recover quite fast due to my programmed rest and nutrition. 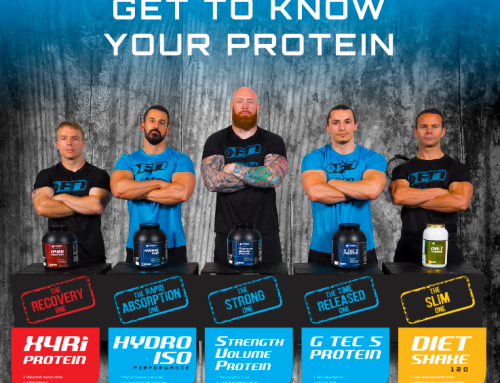 I actually started using fission nutrition’s supplements through the recommendation from a friend who is a natural world champion powerlifter, about 2 years ago. I can honestly say I would never turn back to anything else. My strength and performance has quite literally tripled in that time. I use SVP as my main source of protein, Muscle Intra Excel for during my workouts, AV8TION as my preworkout and finally Athlete Pak as it contains all my daily requirements to keep me lifting strong. Do you have any other events leading up to the main event that you would like to share? 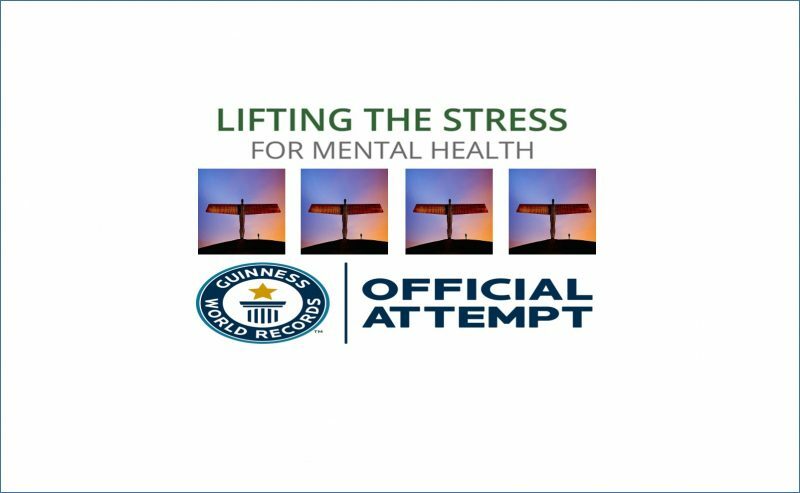 Well we hope you and the team smash the record, we think it is a great cause and we hope you continue to raise awareness for PTSD. Good luck to you and the team, stay healthy!